In the first nine months of the year, WOW air lost $33.6 million, despite a 31% increase in revenues. 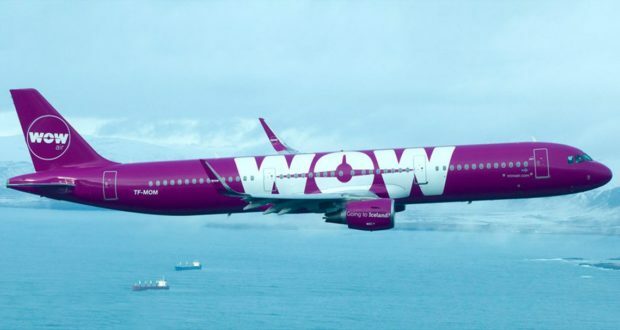 As it pursues its plan to invest in struggling WOW air, the US capital fund Indigo Partners is currently studying the carrier’s accounts in due diligence to ensure there are no skeletons in the cupboards at the airline. At the same time, WOW has published its nine-month interim accounts from January 1 to September 30, confirming that money is pouring out of the Icelandic low-cost airline’s accounts. Revenues for the first nine months of 2018 increased 31% to $501 million – but WOW suffered a loss of $33.6 million over the same period. And the losses appear to be accelerating. WOW air states in a press release that on September 24 it issued bonds worth a total of €60 million. But since then, events have added negative pressures and the glare of the media spotlight on the financial situation in the company, which the airline says has had a further impact on sales, credit facilities and liquidity. In addition, rising fuel prices hit the airline hard, as WOW air has not hedged for a single drop of aviation fuel, so it is 100% dependent on actual market prices. “Fuel prices continued to rise in the weeks and months after the bond sale, which put additional pressure on the company’s financial position,” the statement reads. Last Thursday, Icelandair cancelled its planned acquisition of WOW air, as it had allegedly not been able to get Icelandair’s lenders to accept the purchase of the competitor. Just 12 hours later, Indigo announced that a preliminary agreement had been reached to invest in WOW air. If the transaction complies with national rules, Indigo Partners will be able to own 49.9% of the company.